The film opens with a shark attack at a nighttime beach party, as a young woman named Chrissie Watkins (Susan Backlinie) leads her love interest away from the party and toward the beach for a romantic swim. The girl enters the water. Her would-be lover, being heavily intoxicated, passes out on the beach and is unable to follow. Alone in the ocean, Chrissie is pulled under the water. She resurfaces—but is then violently jerked back and forth like a rag doll. Her cries for help are in vain. Once again she is pulled under; this time, she does not return. This scene’s power to evoke fear stems from the fact that it depicts Chrissie as an isolated and, therefore, helpless sort of everyman figure. That is, as spectators, we acknowledge that we could very easily be in Chrissie’s position. And the realization that we cannot control nature—that we are powerless against it—fills us with fear. In addition, this theme of an isolation that magnifies our smallness becomes even more prevalent as the film progresses. In Jaws we meet Martin Brody (Roy Scheider), who has recently been appointed Chief of Police in Amity, a small island town. Brody, aware that there is a killer shark in the area, has to fight the self-serving city politicians and locals for the right to do his job. One of the central conflicts in the first half of the film, then, is not man versus nature but man versus man. The mayor is not willing to close the beaches for the fourth of July weekend because he does not want to cause a panic, hurt local businesses, and damage his own ego. Adding to Brody’s frustration is the fact that many of the locals do not trust him since he is not “not an islander.” People stare and make snide jokes and eventually turn on him when the shark takes a young boy’s life. In other words, Brody is an outsider; he feels impotent and dwarfed by his surroundings, both politically and socially. 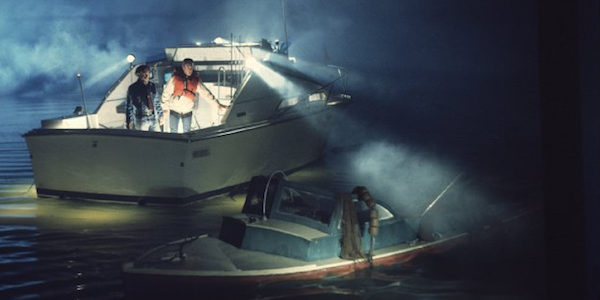 In a later, particularly frightening scene, shark expert Matt Hooper (Richard Dreyfuss) comes face-to-face with a type of isolation that makes him acutely aware of his smallness. He dives into the dark and murky water to explore a wrecked fishing boat and discovers an enormous shark tooth. Then, he realizes the gravity of the situation: he is in the water with one of the world’s top predators. The unilluminated sea that dominates the shots in this scene gives the impression that the owner of that tooth could be lurking just out of sight. Suddenly, the body of a dead fisherman floats on screen. A closeup of Hooper’s terrified reaction is shown as the soundtrack blares shrilly. The terror of it all is that we are right there with Hooper—alone. When taken as a whole, these scenes of isolation show us that there is something we fear more than people, oceans, and sharks. We fear our smallness above all, for we are accustomed to acting as if we are the center of the universe. Full of pride and selfishness, we are terrified to think that we can be brought so low. Indeed, what Jaws really shows us is that we are deeply afraid of being humbled—of losing control. Moreover, it pulls us out of our self-absorbed state and reminds us that we do not rule the world—that we are, in fact, tiny beings. “Can you draw out Leviathan with a fishhook?” God asks. Still, He cares for you. This post is a few years old, but decided to run it again because of Monday’s post. 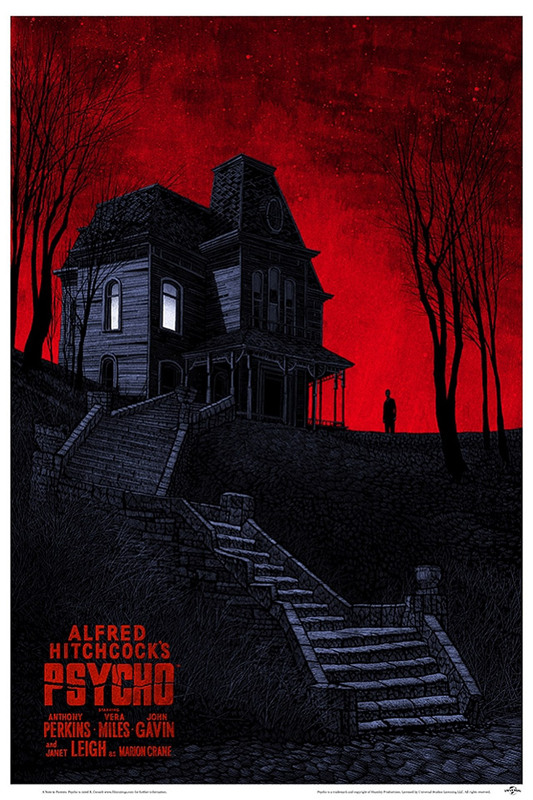 Hannibal Lecture, Norman Bates, & Darth Vader; three of cinemas greatest villains. According to the American Film Institute, these are the top three greatest villains of all time. The shark from Jaws, the alien from Alien, and the Queen from Snow White and the Seven Dwarfs also made it in the top twenty. What is it about these villains that make them better than the average villain? 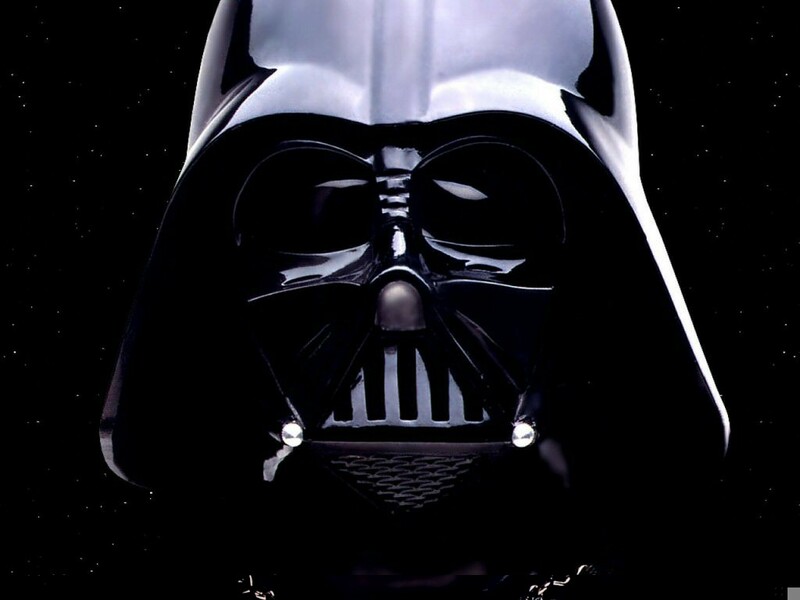 Why is it when we think of Darth Vader, for example, that we think, Yes! He’s an awesome villain. For starters, he’s got the force, his outfit is pretty cool, and his voice/breathing has left a lasting impression on culture (thanks James Earl Jones). But, he also crushes a man’s neck in Episode IV, as well as, cutting off several other character’s breathing, ending their life. Is that good? Does that make him awesome? 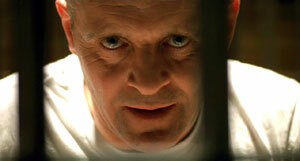 We at Reel Thinking, recently composed a list of the top villains/henchmen in the James Bond franchise. It got me thinking, should we really cheer for the bad guys? What criteria do we use to judge whether or not a villain is a ‘good’ villain? Or, is it okay to like the villain in some cases? This is a carefully crafted definition, but ultimately it’s praising crafty, wickedness or, simply, in-your-face evil. Let’s consider each of these in turn. The AFI definition states that the wickedness and evil is sometimes masked by beauty and nobility; i.e. craftiness. When I hear the word ‘crafty’, I think of Satan. In Genesis 3:1 we read that the serpent was more crafty than all the other animals. The serpent was wicked, yet there was something attractive about him. His evil wasn’t repulsive or Adam and Eve would have run in the other direction. His wickedness had an appeal, or beauty if you will, that made Adam and Eve run to him, resulting in the Fall of mankind. Therefore, we can say that evil sometimes possesses a certain level of beauty and appeal. Some of the villains on the AFI list are those who rage unmasked or are considered horribly evil. Villains like Freddy Krueger, the shark from Jaws, and Terminator from The Terminator. We wouldn’t say that these villains possess a lot of beauty. I know a shark is part of God’s creation, so we can say they possess a certain level of beauty. However, if you were swimming in open water and you spotted a great white racing towards you, I doubt you would think – What beauty that creature possesses! Some of the villains on the silver screen are pure evil. What is it about those villains that leave a lasting impression? They possess a certain level of power, justice, and wrath we appreciate. Even though they may use those attributes in a dishonoring way, the attributes, in and of themselves, are godly. We know God as all-powerful, or omnipotent. He is just. And because of his holiness, justice and love, he is wrath too. All of these attributes, however, are only used in a beautiful way that makes his glory known. Therefore, I think we can appreciate villains. We must be cautious in cheering for the bad guy or taking pleasure in these godly attributes being employed in a villainous manner. However, these attributes, pre-perversion, can help us better understand our mighty God. 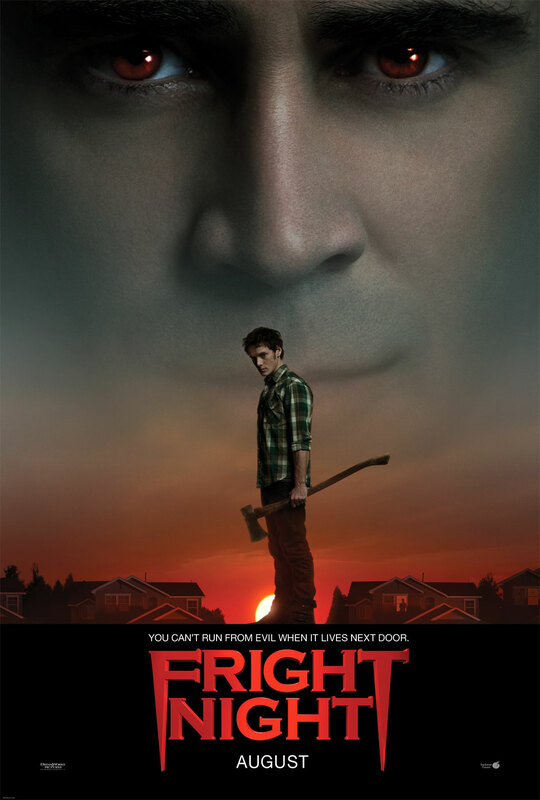 Conan & Fright Night – Pointing us Toward Heaven? 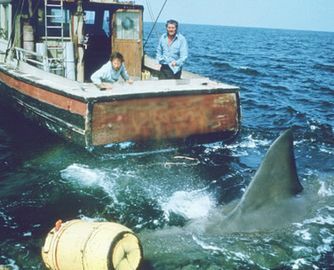 The movie Jaws  is an obvious classic. If nothing else, it gave us the most familiar musical score in film history. However, it truly highlights Steven Speilberg’s genius as a filmmaker. I’ve heard reports about his desire to keep the audience in suspense by not revealing the great white in the first hour of the film. People thought he was crazy and pushed him to show the shark earlier, but he refused. Many said this film would surely bomb. 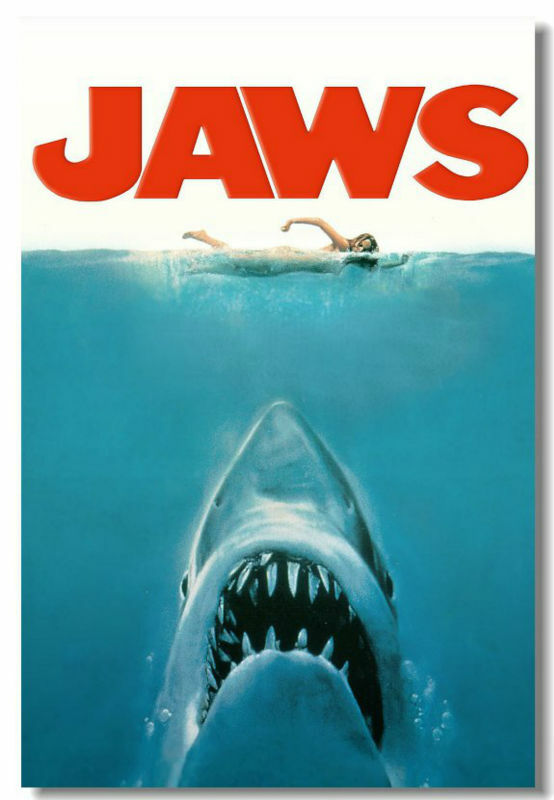 But one could now easily argue that Speilberg’s daring move actually cemented Jaws as a timeless classic. Why do I say that? 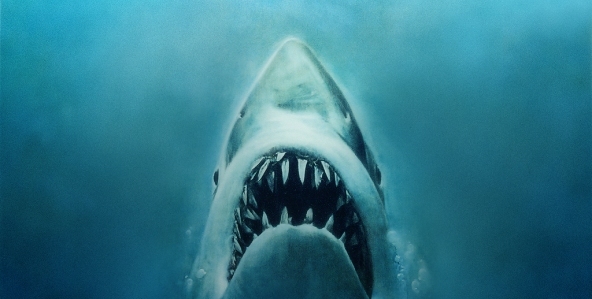 Because when we see the special effects of the 1975 shark in the cgi-age of 2011, it looks really fake. Not only did Speilberg know that the absence of the creature actually heightens the suspense, but he also knew that his film would one day be outdated. He knew that he was a pioneer filmmaker, but he also knew there would be others to follow in his footsteps that would raise the bar on the whole process. Whether he could articulate it or not, he was striving for perfection. I don’t believe that remakes prove that Hollywood has lost unique ideas or stories, rather I think it illustrates a deeper longing we all have and that is perfection. We touched on this a little yesterday, but now I want us to think a bit more about this idea. Human beings spend much time and money trying to cover up the fact that we’re not perfect. You can see this in our interaction with each other. We can often be fake with one another and act like we’re not troubled with anything. I’m not suggesting that you go out and share your heart with total strangers, but our outward friendliness often attempts to cover our imperfections. We also see this with the numerous beauty products on the market. ‘Wipe away 10 years’ or ‘No more gray‘ are the promises of many products. All of which are trying to cover up the fact that we’re not only imperfect, but we’re dying. Being recreated is part of our DNA, because we know that we were once perfect. It is only natural for films like Fright Night and Conan the Barbarian to be recreated, because they, like us, have aged. While those films offered good scares and action, they don’t compare to the horror and mayhem that will be at the box office this Friday night. I guarantee you, if anyone rented the 80’s version of either one of these films, you would laugh. It would be tough to make it through without somewhat of a smile, because the imperfections are easy to spot. 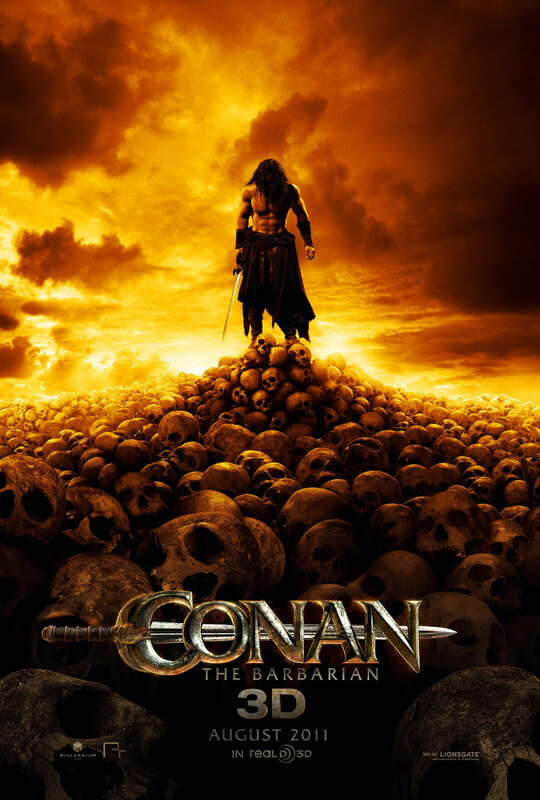 However, go to your local theater this weekend and see Night or Conan and I guarantee you it will seem more perfected. Even if the plot is weak and you don’t care for the movies, the recreation is going to be more perfected. Could it be because we are all moving closer to perfection? As I mentioned yesterday, both of these films have brought back feelings of nostalgia from the 80’s. While we do look back to the garden and think of a time absent of sin, Christians must look forward. The truth is, we too have been remade. Paul tells us, “Therefore, if anyone is in Christ, he is a new creation. The old has passed away; behold, the new has come.” [2 Cor. 5:17]. For the Christian, we know we should have bodies that don’t have aches and pains, bodies that don’t feel the effects of sin. With all the remakes Hollywood has cranked out, and will continue to crank out, they’re really just illustrating the desire we all feel to be recreated. The great thing about the recreation for Christians is the fact that it is finished. The remake of Fright Night and Conan the Barbarian will get old. They will become less suspenseful and less action packed, the special effects will get dated, and the actors will become unknowns. But the new creation we become in Christ is final. Once we enter the Kingdom where moth and rust do not destroy and where thieves do not break in and steal, the idea of recreating will be an afterthought.